In the last couple of months, we’ve managed to review two of AMD’s latest offerings, the top-of-the-line Ryzen 7 1800X and it’s second-most powerful Ryzen 7 1700X CPU from its enthusiast-level Ryzen 7 CPU lineup. The new Ryzen 7 line marked AMD’s return into the high-performance CPU arena, and our reviews of the aforementioned Ryzen 7 1800X and Rzyen 7 1700X have proven that they are able to go head-to-head with CPU’s from Intel’s Extreme and Kaby Lake segment. But lest we focus all our attention on the enthusiast-grade Ryzen 7, AMD also recently announced and released its more affordable, high-performance Ryzen 5 CPU lineup in Malaysia. As always, AMD was kind enough to send us the Ryzen 5 1600X, the most powerful processor within the Ryzen 5 lineup. Much like the 1800X and 1700X, the 1600X’s internal design and engineering is essentially the same across the board, with the exception of the number of cores that it possesses. While all Ryzen 7 CPUs are engineered and manufactured with an 8-core, 16-thread die layout, the CPUs within the Ryzen 5 family vary between a 6-core, 12-thread and 4-core, 8-thread build. In the case of the 1600X, the CPU is built with former number of cores and threads. That being said, the base and boost clock frequencies of the 1600X is actually on par with that of the 1800X, which is 3.6GHz and 4.0GHz, respectively. But unlike the top-of-the-line 1800X, the 1600X had slightly more overclocking headroom (the most we managed to overclock the 1800X was 4.05GHz, while we managed to push the 1600X’s clockspeeds as high as 4.15GHz). Apart from the slightly higher overclocking headroom, AMD’s promise that all Ryzen CPUs will be unlocked (i.e. overclockable) and that its SenseMI technology will be available across the spectrum still holds true. That means that like its Ryzen 7 counterparts, all the Ryzen 5 CPUs also benefit from SenseMI features like the XFR (Extended Frequency Range), Precision Boost, as well as Neural Net Prediction to name a few of the features. 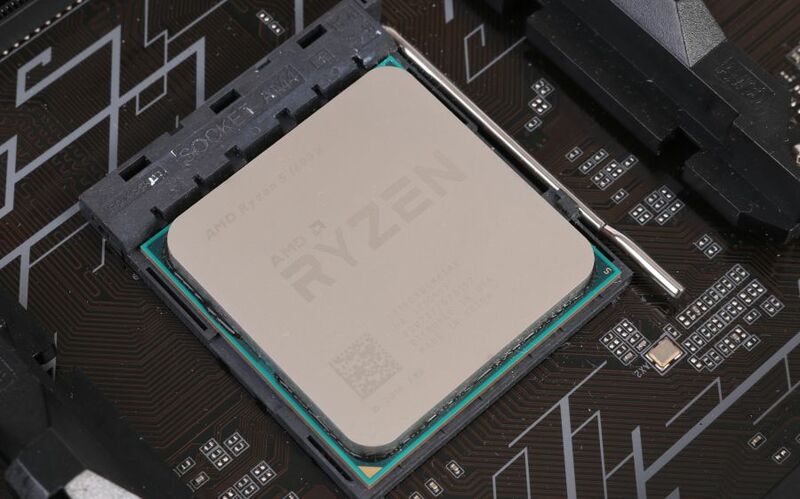 As we’ve already covered much of the details of SenseMI in an earlier article, you can read that article for a more in-depth explanation of it, along with our reviews of the 1800X and 1700X CPUs, as well as every article that we’ve written about Ryzen to date.